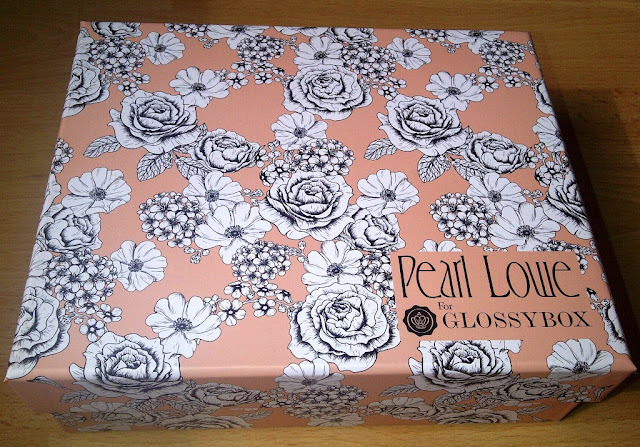 The April Edition GlossyBox has been designed by Pearl Lowe in a collaboration with GlossyBox, now as I reuse my boxes to store makeup and have them on display, I have to say this is a very pretty floral print and I am looking forward to filling it! 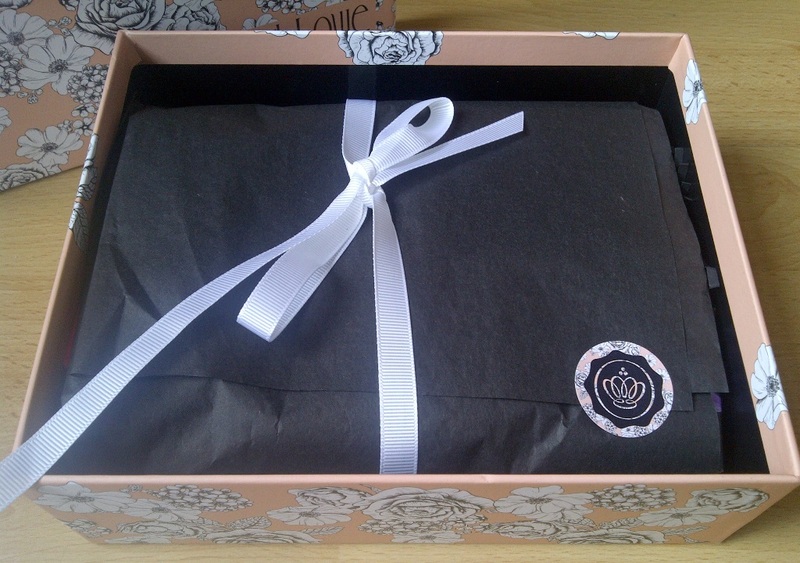 However, pretty is all very nice and good but do the contents please ...? I have to say I was pretty excited when I opened it up and saw the contents happy - it has the perfect mix of makeup, skincare and scent. Value wise I feel that this is an excellent box. This is described as a light, soft cream tinted for a sheer matte finish. It has a high SPF and is oil free making it ideal for all skin types. I haven't opened this yet because I think it has a snap top and I am not ready to try it yet. I would think this would be perfect to pop in your bag if you were going away. I am saving this for a Perfume Sample Saturday post - cute bottle! However the blurb says that this is 'an intoxicating and magnetic fragrance boasting a unique infusion of Tuberose,Vetiver and Patchouli culminating in a floral-woody elixir'. Multi tasking lip and cheek tint in a nice shade that provides a pretty flushed appearance. I have a real problem with these products as I cannot get on with the runny gel formula on my lips and this was true to form for me but as a cheek tint this is ace. I applied a tiny amount to my cheeks and it stayed there all day. Easy to use and blend. Available in Mango, Coconut Latte or Pistachio I was sent the Pistachio. This looks and smells exactly like pistachio ice cream. The body butter comes in a generous 50ml tub and is heavily scented and sweet so if you don't like pistachio you will hate it! Happily I do like this scent and the butter is nice, soft and creamy which makes it easy to apply and absorbs quickly, leaving skin satin smooth. A perfect Spring pastel shade - this lilac is beautifully creamy and delicate. 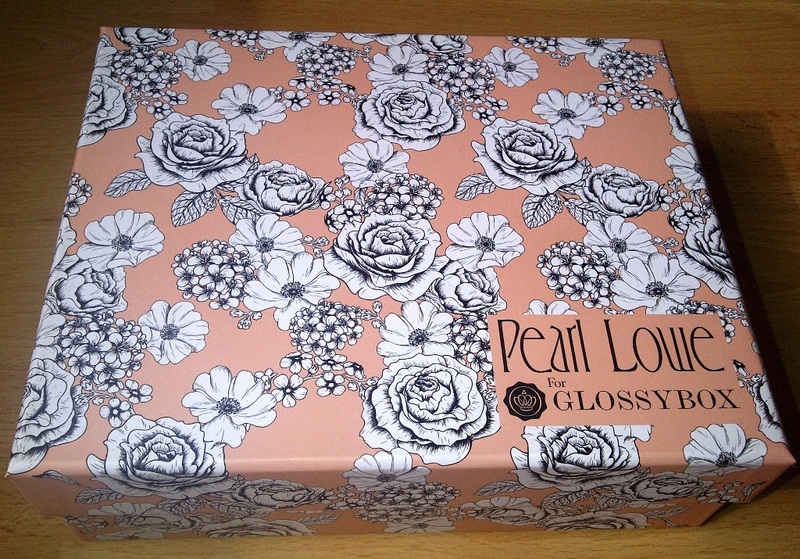 I love it against my skin tone and I don't own anything like it in my collection. 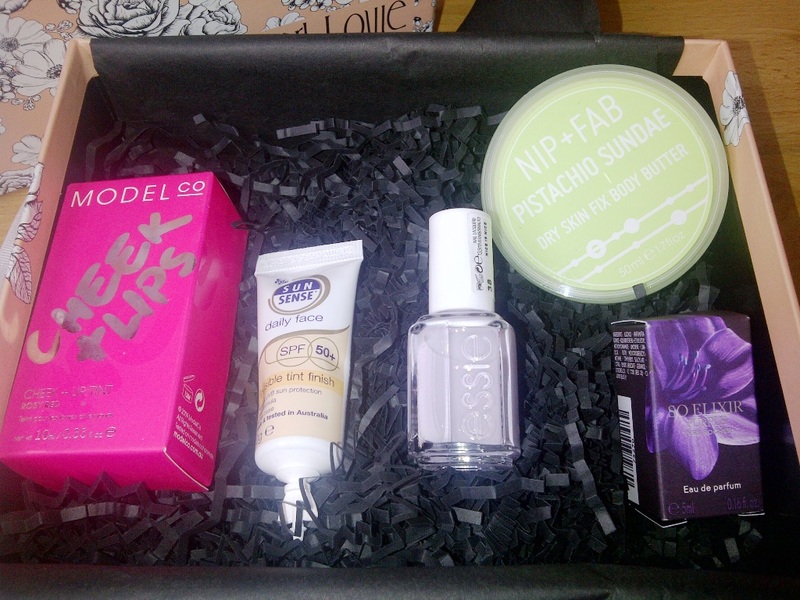 I think most people will be pleased to receive an Essie polish in the box. 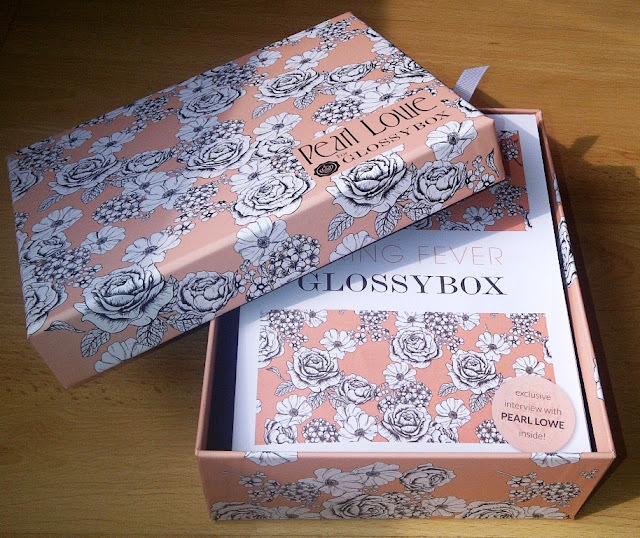 LOVE the whole idea of glossybox! 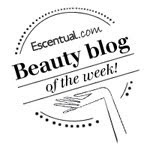 A beauty treat every month - How could you refuse! Have to confess, ESSIE is one of my favourite nail polish brands and the colour looks fab! Do let us know what So Elixr smells like.